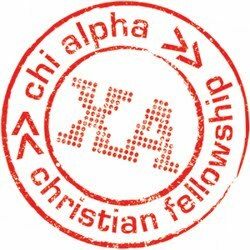 BKChiAlpha: Calling all prayer support! As some of you know Brandon's mentally disabled Aunt has been living with us for the past 7 years. She has been a wonderful addition to our family and the money we have received from the state for taking care of her has allowed Kendra to be able to be a stay at home mom, not to mention the multiple opportunities it has allowed for us talk to our children about handicapped people and how God has called us to love and take care of them. Since our move to San Diego, the county ruled to cut the amount of money we receive for her in half. We have appealed this decision through the courts and Brandon has a court date tomorrow at 1:30 p.m. Please pray that God would work and the judge would make a favorable decision to restore all of our hours. Pray that Brandon would have just the right words to say to show Laurie's need for full-time care. This money we were expecting to receive is a huge part of our budget. The judge will have a couple of weeks to make a decision, so keep the prayers coming! Thank you.